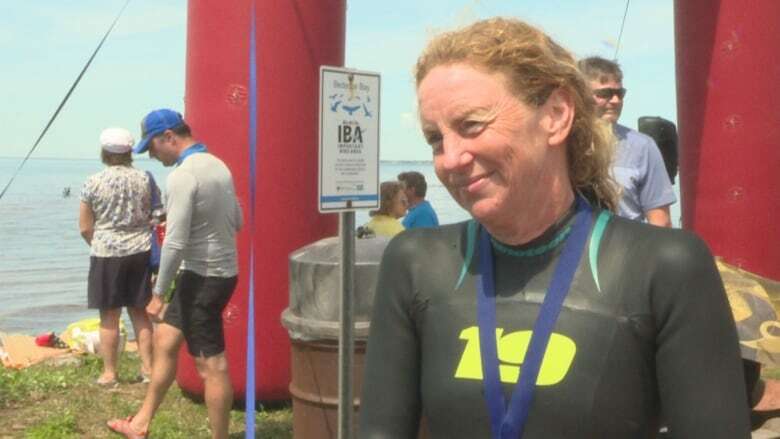 Nearly 50 swimmers plunged into the frigid Atlantic waters early Sunday morning to take part in The Big Swim — an annual charity swim across the Northumberland Strait. 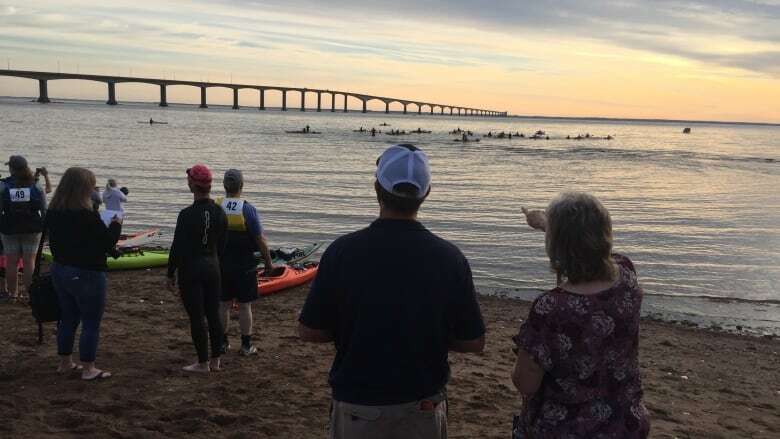 Nearly 50 swimmers hit the water early Sunday morning to take part in The Big Swim — an annual charity swim across the Northumberland Strait from New Brunswick to Borden-Carleton, P.E.I. The event, organized by Give to Live, raises money to send kids to Brigadoon Village, a Nova Scotia camp for children living with chronic illnesses. At 7 a.m., swimmers plunged into the Strait at Cape Jourimain, N.B., to begin their long swim, estimated to take four to eight hours, and by most accounts, no easy feat. On the other side, people gathered at a small beach nestled next to the Confederation Bridge in Borden Carleton, P.E.I., many with binoculars, waiting to catch a glimpse of the swimmers to come ashore. 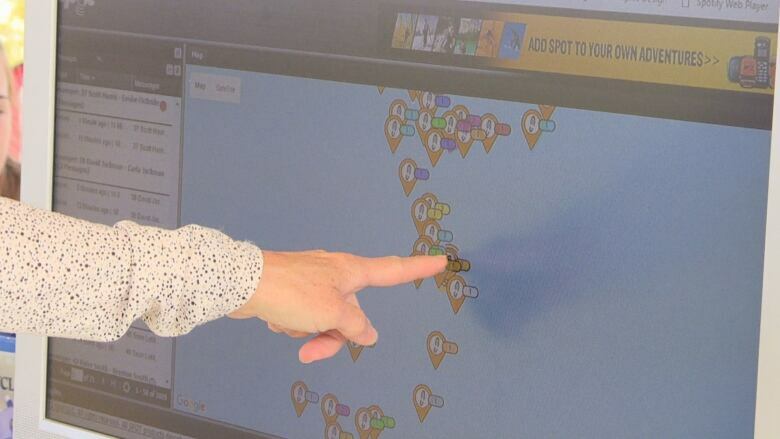 Others watched the participant's progress on a TV screen set up on shore, tracking swimmers through GPS units attached to their wet suits. "It was tough. 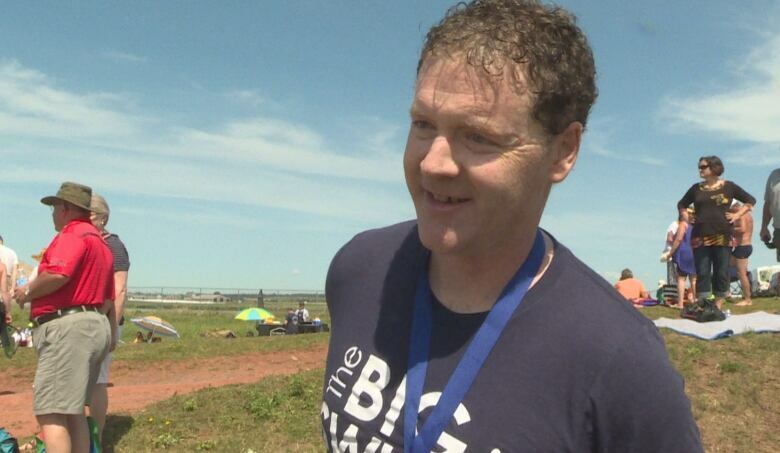 As nice a day as it was, it was a tough swim," said one swimmer, Ryan Bradley of P.E.I. "Physically, it starts to beat you up but then when it starts to play with you mentally, it becomes something else." He began training for the event about five months ago, swimming in pools and then outdoors as the weather got warmer. 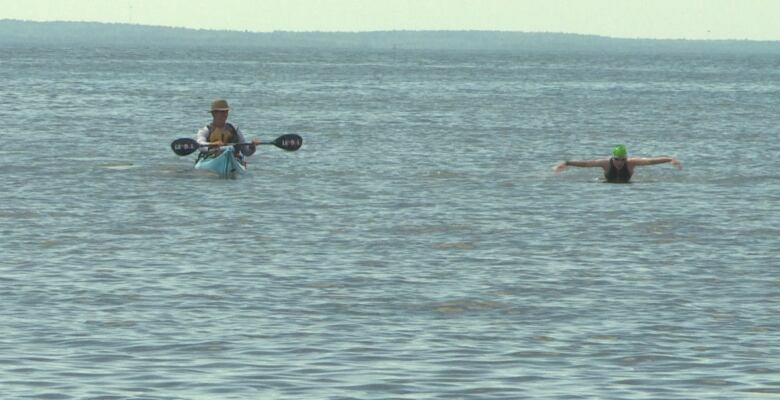 Though it was a grind to swim across the Strait, the thought of sending kids to camp kept him going. He raised over $4,000 to for the event. "You think about getting it finished for the kids and the donors that support me," he said. And that's what kept Bobby Lou Reardon going too. "That part is what it's all about, really," she said. This was her fifth time taking part in the swim and for her, it was easily the toughest trip across that she's ever done. "I'm glad it's over, it was a tough year. It was the hardest time that we've crossed," she said. "I'm an hour-and-a-half slower than I usually am." But it was all for a great cause, Reardon said. She raised over $4,000 as well. Give to Live co-founder Todd MacDonald said the organization raised nearly $160,000 in total this year, enough to send around 160 kids to camp. He said it's one of their best fundraising years yet. 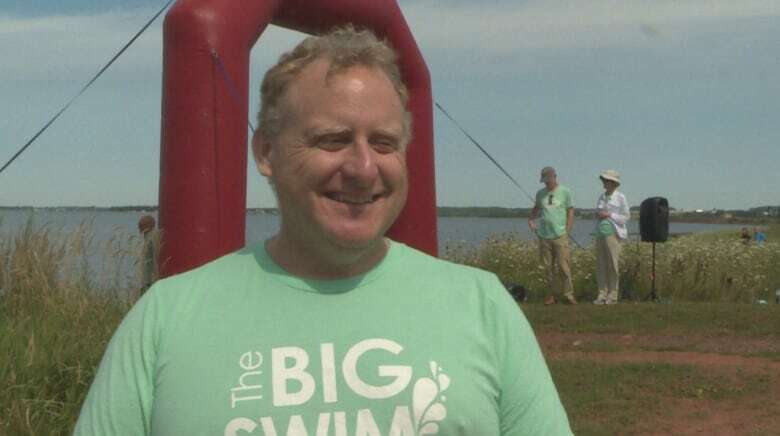 David Graham, the executive director at Brigadoon Village, said after this year's The Big Swim event, Give to Live has raised over a million dollars for the camp. "If you look at the impact on our community and on our kids that that money has gone to, they've transformed what our region is going to look like in the future," he said. "These kids are now empowered, they're going to lead fabulous lives and Give to Live and The Big Swim have been a big part of that."